No glamping pod will stand the test of time like ours. More clients are choosing to take their office into nature. Everyone knows that conventional is boring, which is why we developed something just a little bit different. In a world where convention is mostly the norm, we wanted to create something truly unique. Something truly special! Thinking of starting your own Glampsite? Are a fully certified exempted organisation and have legal powers to licience any piece of land deemed suitable for camping and caravaning to operate as a campsite. You don't need to apply for planning permission or a licence from your local authority and it's a great way to get a small campsite running in areas where planning approval would not normally be given. Directly from our workshop in the part of the Towy Valley, we design and build our glamping pods to suit your own personal requirements. Whether its an extra cosy, secluded glamping room for guests? Maybe it's a garden 'eco firendly' office or retreat if needed? The options are endless. We can fit out and furnish your new pod to your personal specification. You can choose from many additional options on our list while keeping the cost to a minimum. What's different about our Pods? Our odd pods can be built to suit your perssonal specifications, with over 36 designs to suit choose from with a variety of any shape, any width and any length. All our pods are designed by RIBA architect. Using a galvanised steel frame chassis and a glulaminate frame structure we ensure that our pods will have an exceptional life span. We are a Glamping pod manufacturer based in Wales. 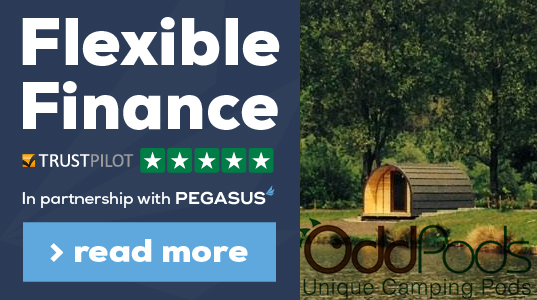 If you’re in the glamping, camping, holiday, fishing lake, equestrian, restaurant or tourism business – our luxury pods will make you stand out from the crowd and provide a valuable, long-lasting source of income. If you’d like to create some stylish indoor space in your garden for a home office, studio, extra bedroom or just for somewhere to relax – our luxury pods will provide a great-looking and comfortable space for you to enjoy.